Amann Group is expanding to Vietnam. 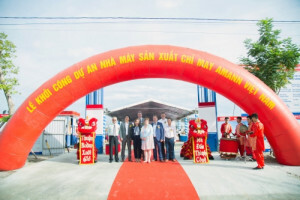 In addition to the already existing production sites in Augsburg, Great Britain, Czech Republic, Romania, Bangladesh and China, a new production site will be opened on a 45,000 m² ground in the Vietnamese coastal city of Đà Nẵng. At the new site, Amann Group will produce around 2,300 tons of sewing thread per year, mainly for the manufacture of apparel and shoes. 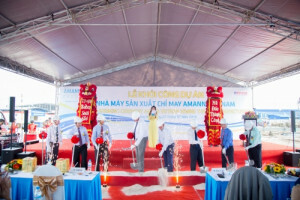 On 27th of July, the construction was initiated with a groundbreaking ceremony. Amann’s executive board, Bodo Th. Bölzle and Wolfgang Findeis, attended this special event. The production is scheduled to commence in the middle of 2019. As with all further production sites abroad, Amann places great value on construction using state-of-the-art equipment, especially in terms of worksafety and environmental compatibility. With its new site in Vietnam, Amann is expanding its stance in Asia. Through this strategically important step, the German global player is setting the track for further growth and success.